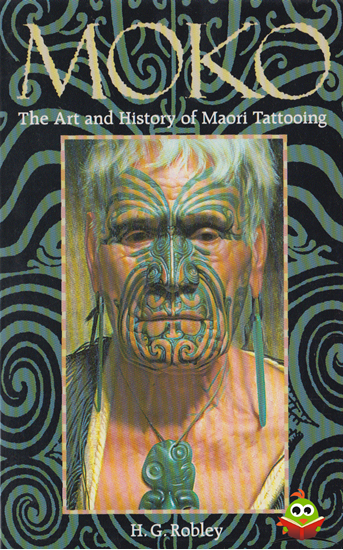 Moko is the art of tattooing as practised by the Maori people of New Zealand. It is unlike any other mode of body decoration in the extent to which it covers the body — certain patterns can spread over the entire face, including the eyelids. Utterly striking in appearance, it is said to have given Maori warriors an extraordinarily fierce countenance for combat in addition to endowing the wearer with a powerful sexual magnetism. 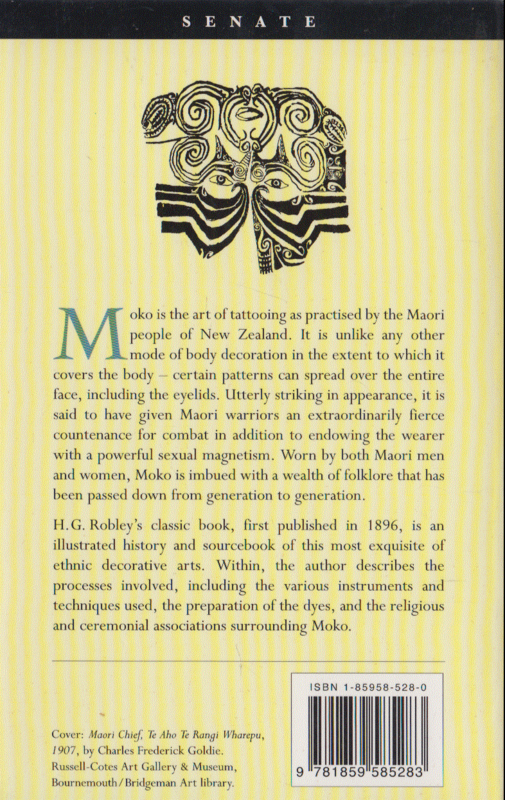 Worn by both Maori men and women, Moko is imbued with a wealth of folklore that has been passed down from generation to generation. H. G. Robley's classic book, first published in 1896, is an illustrated history and sourcebook of this most exquisite of ethnic decorative arts. 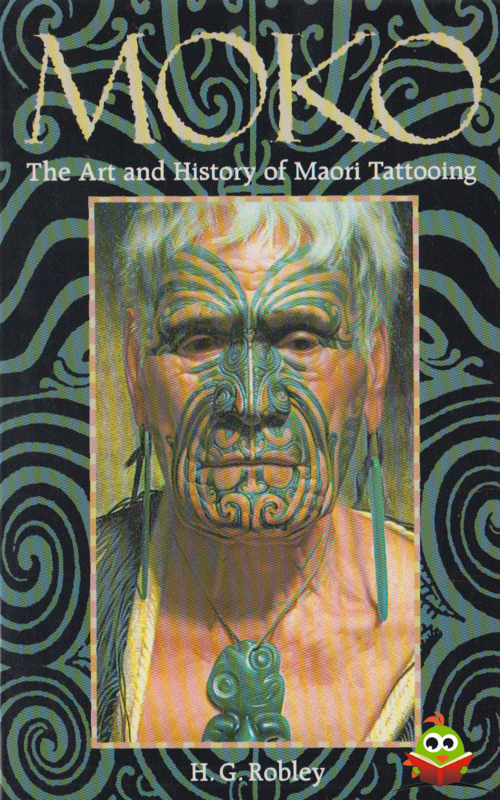 Within, the author describes the processes involved, including the various instruments and techniques used, the preparation of the dyes, and the religious and ceremonial associations surrounding Moko.